A coalition of 20 states argued the entire law had been invalidated by a change in tax rules last year which eliminated a penalty for not having health insurance. The case is now likely to go to the US Supreme Court. President Donald Trump promised to dismantle Barack Obama's landmark 2010 healthcare law, which was designed to make medical cover affordable for the many Americans who had been priced out of the market. But despite his Republicans having majorities in both the House of Representatives and the Senate, the ACA is still operating. However, in 2017 Congress did repeal the requirement - the so-called individual mandate - that people buy health insurance or pay a tax penalty. 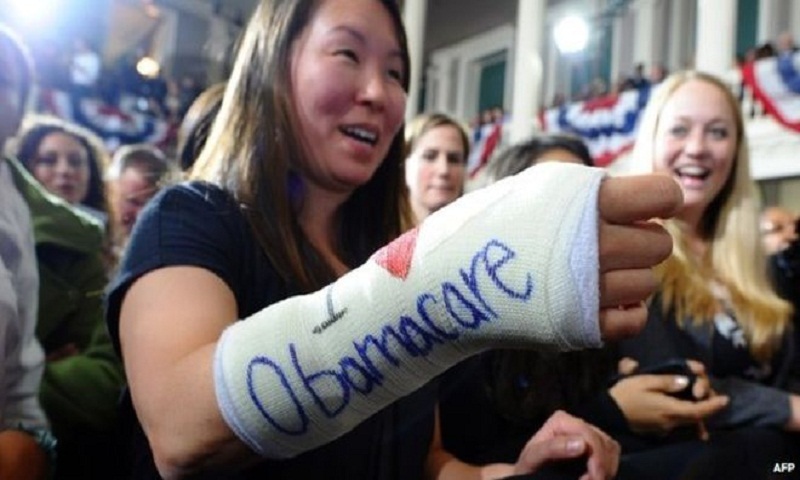 The Texas court ruling came a day before the deadline for Obamacare enrolment for the coming year. Two Republicans - Texas Attorney General Ken Paxton and his Wisconsin counterpart Brad Schimel led the legal challenge. Sitting in Fort Worth, US District Judge Reed O'Connor noted that a $1.5tn tax bill passed by Congress in 2017 eliminated the tax penalties which anyone who failed to obtain health insurance had to pay. As the individual mandate was an "essential" element of the ACA, the whole of Obamacare was therefore unconstitutional, Judge O'Connor said. "The former enacted the ACA. The latter sawed off the last leg it stood on." US Senate Democratic leader Chuck Schumer said: "If this awful ruling is upheld in the higher courts, itwill be a disaster for tens of millions of American families."